THIS CIRCULAR HAT AND MATCHING GLOVES WERE MADE IN CANADA BY PARKHURST. 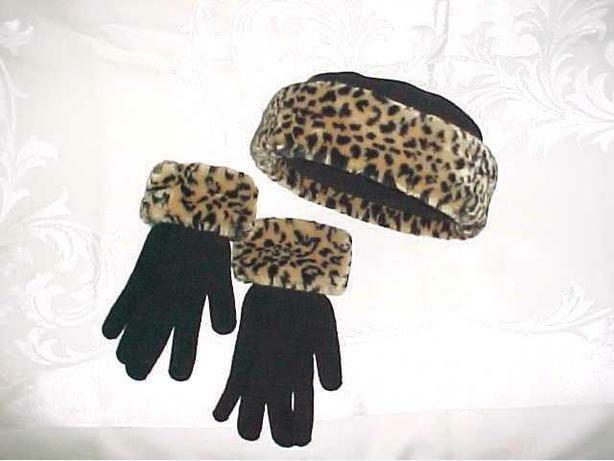 THEY ARE 100% WOOL WITH A DECORATIVE FAUX LEOPARD FUR TRIM. THEY HAVE NOT BEEN WORN.